The Black And White Years have a jangly art-rock feel that is distinctly Talking Heads-esque. Not surprising really, seeing as their debut self-titled album was produced by ex-Talking Head Jerry Harrison. 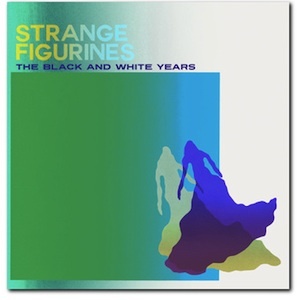 The band have been going strong since then and Strange Figurines is their third full length LP. The record opens with “Embraces,” a slow starter that builds to an anthem-like rolling synth track over subtle guitar. Song two – “Little One” is much more energetic with the beautiful echoing beats of bands like MGMT. The record carries on at consistently high quality to reach the album’s shoegaze-y first single “Just Like Old Times,” followed by my personal favorite – title track “Strange Figurines,” a crooning, gentle but dynamic, sad but sweet melody set against a light and dreamy soundscape. “Newlyweds” picks up the pace a bit and “Cities” is a catchy fusion of electronic sounds and details with strong new wave riffs. The record ends with the rather cutely named “Matching Sweaters,” a smile-inducing chirpy love song with much more subtle synths than the rest of the album and plenty or playfulness.